Hiyaa, meaning shelter, was launched with fireworks at a groundbreaking ceremony last November. It involves the construction of 36 towers with apartments to house 80,000 people. An event for a flagship government housing project descended into farce on Sunday as application forms for the flats ran out in 30 minutes, the website crashed due to demand and police shut the door in people’s faces. Hiyaa (shelter) was launched with fireworks at a groundbreaking ceremony last November. 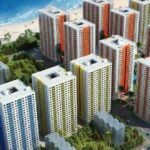 It involves the construction of 36 towers with apartments to house 80,000 people, according to the President’s Office. 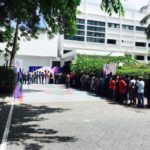 The housing ministry opened up the application process for more than 7,000 Hiyaa flats and pledged that Sunday’s event, held in the capital, would have no queues and that the forms would be on its website. Housing Minister Mohamed Muizzu had earlier in the day explained the categories for the affordable housing forms and said the process had been made as easy as possible. However the website crashed soon after launching at 2 pm, the 15,000 forms at the convention centre ran out in less than half an hour and photos starring long lines of social housing hopefuls circulated online. People were left sitting outside because of the ministry’s lack of preparation, not to mention police shutting the venue doors after the forms had run out. “I have seizures,” she told the Maldives Independent. “I take care of a sick mother and father and I am a mother to four children. I have applied for (government) flats before, but I got a very low score. At the time I had three kids under the age of 18. She was one of the few who decided to wait outside the convention centre, despite the lack of seating, until forms became available again on Sunday night. “I tried downloading online but I can’t access the website, so I came here,” said 32-year old Moosa Mohamed*. He was one of those turned away by police. The disorganisation also provoked despair on Twitter. 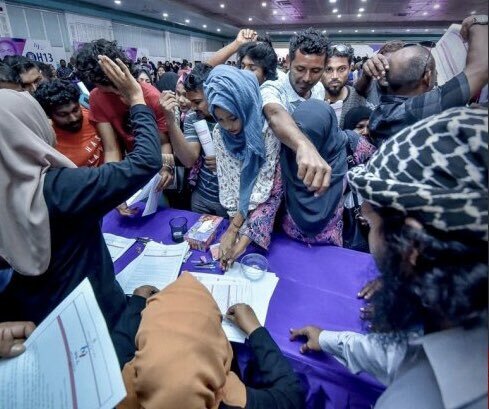 The government has previously struggled with the application process for housing projects, with many disgruntled Maldivians having to stand in line for hours just to get a form. President Abdulla Yameen’s administration plans to relocate and settle 70 percent of the country’s 338,000 population in a ‘Youth City’ developed on the artificial island of Hulhmalé. 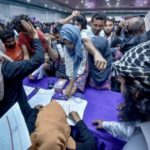 Yameen was ridiculed last month for saying the capital was not congested or overcrowded, despite the tiny city being home to almost 40 percent of the country’s population.